Sigfried is a bright and articulate full-stack developer who creates browser-based visual analytics tools. Stuffing more details and more levels into the transformed data until it’s huge and ungainly but satisfies the needs of all the nooks and crannies of the application it eventually visits. Writing new transformation functions that have to join some already processed node to the global data source to bring in new details. Designing complex object classes that somehow know how to handle all the contexts they end up in..
After building data-centric software for 20 or 30 years like I have, one begins to suspect that they are solving the same set of problems over and over again. We bring in complex loops, list comprehensions, database analytical functions, map or groupBy functions, or even full-fledged reporting engines. As our skills develop, we get better at making any chunk of data munging code clever and concise, but spaghetti still seems to proliferate. During my first Toptal engagement, I was convinced from the very first day that the API and data management routines of the codebase I was adding to had been hopelessly over-specified. It was a D3.js application for analyzing marketing data. The application already had an attractive grouped/stacked bar chart visualization and required a choropleth map visualization to be built. The bar chart allowed the user to display 2, 3, or 4 arbitrary dimensions internally called x0, x1, y0, and y1, with x1 and y1 being optional. In the construction of legends, filters, tooltips, titles, and the calculation of totals or year-to-year differences, x0, x1, y0, and y1 were referred to throughout the code, and ubiquitously throughout the code was conditional logic to handle the presence or absence of optional dimensions. It could have been worse though. The code might have referred directly to specific underlying data dimensions (e.g., year, budget, tier, product category, etc.) Rather, it was at least generalized to the display dimensions of this grouped/stacked bar chart. But when another chart type became a requirement, one where dimensions of x0, x1, y0, and y1 wouldn’t make sense, a significant portion of the code had to be rewritten entirely - code that deals with legends, filters, tooltips, titles, summary calculations, and chart construction and rendering. What we saw in the code was typical of the tangles that arise in dealing with hierarchical or grouped data structures, particularly in D3 applications once they get bigger than demos. These problems arise with reporting applications in general, in CRUD applications that involve filtering or drilling to specific screens or records, in analysis tools, visualization tools, practically any application where enough data is used to require a database. Take a Rest API for faceted search and CRUD operations, for instance, you could end up with one or more API calls for getting the set of fields and values (maybe with record counts) for all the search parameters, another API call for getting a specific record, and other calls for getting groups of records for reporting or something. Then all of these are likely to be complicated by the need to impose temporary filters based on user selection or permissions. Supergroup is basically d3.nest, underscore.groupBy, or underscore.nest on steroids. Under the hood it uses lodash’s groupBy for the grouping operation. The central strategy is to make every piece of original data into metadata, and links to the rest of the tree immediately accessible at every node; and every node or list of nodes is overloaded with a wedding cake of syntactic sugar so that most anything you’d want to know from any place on the tree is available in a short expression. In order to demonstrate other features and how this whole thing works, let’s make a simple nested list using D3, and see how we make a useful tooltip function that can work on any node in the list. Now we have a root node that is parent to all the Year nodes. We don’t have to do anything with it, but now our tooltip will work because node.parent has something to point to. And node.path() which was supposed to point to a node that represents the entire dataset actually does. byYearFips.children.namePath(' --> ');   // ==> "1970 --> 6001"
An aggregating function that expects an array (usually of numbers). Either a field name of the field to be plucked from the records grouped under that node or a function to be applied to each of those records. There is also an “aggregates” convenience method on lists (the top-level list of groups, or the child groups of any node). It can return a list or a map. "2010": "1510271 (5% change from 2000)"
"2010": "1175 (-3% change from 2000)"
Supergroup does a good deal more than what I’ve shown here so far. For D3 visualizations based on d3.layout.hierarchy, example code on the D3 gallery generally starts with the data in a tree format (this Treemap example for instance). 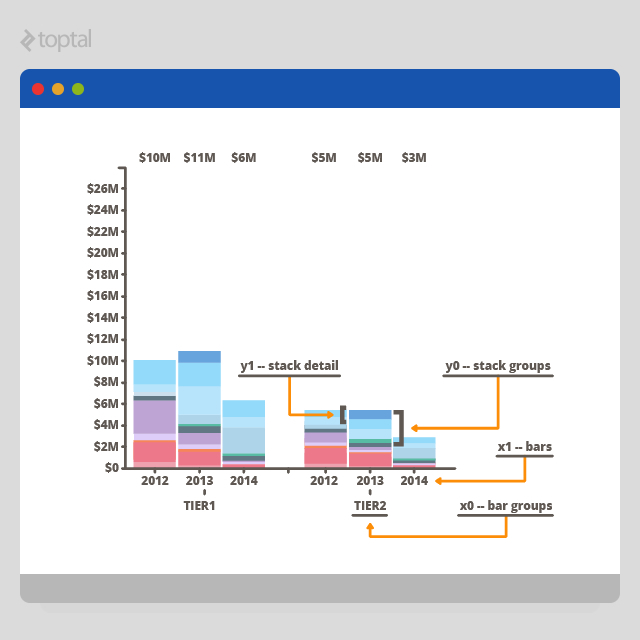 Supergroup lets you easily get tabular data ready for d3.layout.hierarchy visualizations (example). All you need is the root node returned by .asRootVal(), and then to run root.addRecordsAsChildrenToLeafNodes(). 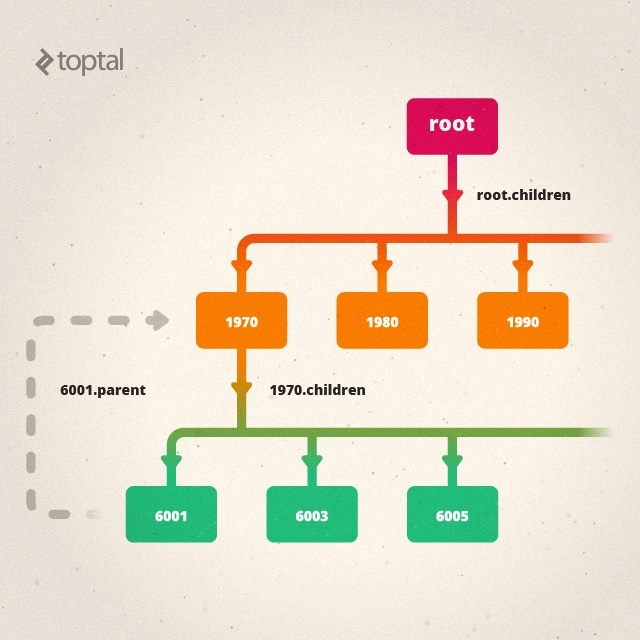 d3.layout.hierarchy expects the bottom level of child nodes to be an array of raw records. addRecordsAsChildrenToLeafNodes takes leaf nodes of a Supergroup tree and copies the .records array to a .children property. It’s not the way Supergroup usually likes things, but it will work fine for Treemaps, Clusters, Partitions, etc. (d3.layout.hierarchy docs). Like the d3.layout.hierarchy.nodes method that returns all the nodes in a tree as a single array, Supergroup provides .descendants() to get all the nodes starting from some specific node, .flattenTree() to get all the nodes starting from a regular Supergroup list, and .leafNodes() to get just an array of the leaf nodes. Without going into exhaustive detail, I’ll mention that Supergroup has some features for handling situations that occur less commonly but commonly enough to merit special treatment. As you can see, with multiValuedGroup, the sum of all the articlesPublished in the group list is higher than the actual total number of articlesPublished because the Sigfried record is counted twice. Sometimes this is the desired behavior. Dave: I must say Im a pretty big fan of supergroups. It’s cleaning up a ton. Sigfried: Yay. I’m going to ask for a testimonial at some point :). If you give it a spin and any questions or issues arise, drop a line in the comments section or post an issue on the GitHub repository. Sigfried is a bright and articulate full-stack developer who creates browser-based visual analytics tools to facilitate the exploration of complex, multivariate, or temporal data. He has Master's degrees in Creative Writing and Medical Informatics. He has published numerous papers and articles and has won multiple "best paper" awards. Great post! I've never heard about Supergroup.js before. I have a client that asked me to use D3.js to plot some charts. I'm satisfied with the result, but the charts were simple, so maybe this is why I didn't have any problems. 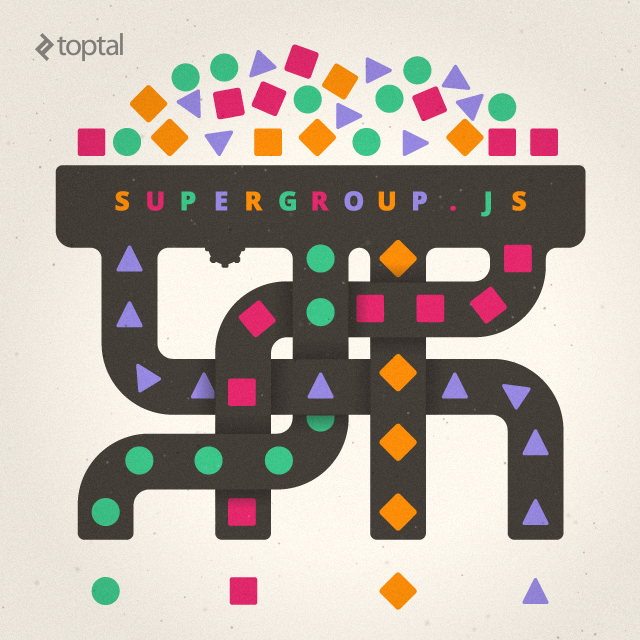 I will take a look at Supergroup.js to see if I will like it. Let me know if you have any questions. I hope you find it useful. Nice post. Ruby has a refine statement to extend another class in isolated namespaces. I use this to extend Array. This way method names can document more, be more specific and code reuse will be even higher than using supergroup. Could you show a bit how that works? Do you have info on performance limits or number of records testing? How many records have you tested this with? How does this compare (performance-wise) with a library like crossfilter.js? Thanks! Hi. Supergroup seems similar to Crossfilter, but it's not so much. In fact, I wrote the predecessors to Supergroup after trying to use Crossfilter and realizing it wouldn't do what I needed. Crossfilter, as I understand it, is for working with multi-dimensional quantitative data; it includes performance optimizations and lets you quickly grab slices of mutli-dimensional (continuous) data cubes. Supergroup is aimed at categorical data, transforming tables into multi-level categorical groupings (and then performing aggregate calculations on quantitative variables in the resulting groups). Supergroup doesn't offer any performance optimizations--it provides a huge amount of syntactic sugar with fairly low impact on performance. It saves on programmer time and expands the range of group/nest/tree navigation/aggregation stuff you can do easily. I have never run into performance problems using Supergroup itself. Maybe if you use it server-side, this would be more of an issue, but long before you run into performance issues using Supergroup, you see issues involving the amount of data you're trying to get into the browser in the first place, or issues with the number of DOM nodes you're trying to create based on big data sets. Even server-side, though, I suspect you'd be loading many millions of records into memory before performance became an issue, and, at that point, whatever you're trying to accomplish is going to be stressing performance in other ways.